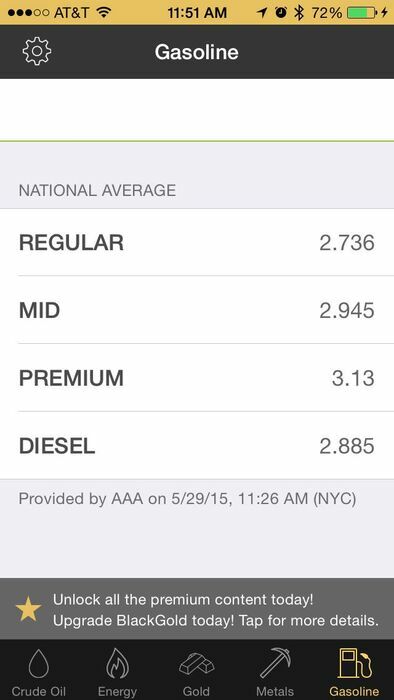 Mobile Price-Watching for Crude Oil, Gold, Gas, Natural Gas, and Heating Oil on your iOS device! With the fluctuations in recent years of the Stock and Futures Markets, it is necessary to keep informed of the current prices at all times. 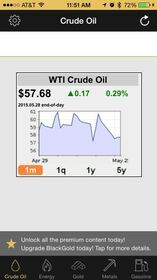 BlackGold for iOS gives you mobile price-watching power in the palm of your hand. Near-realtime prices on your mobile device, 24/7. 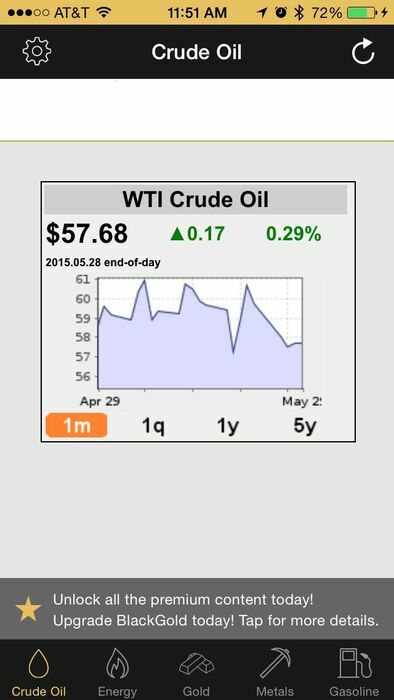 * Crude Oil - WTI - Current Price, including four charts. * Gold - Troy Oz. 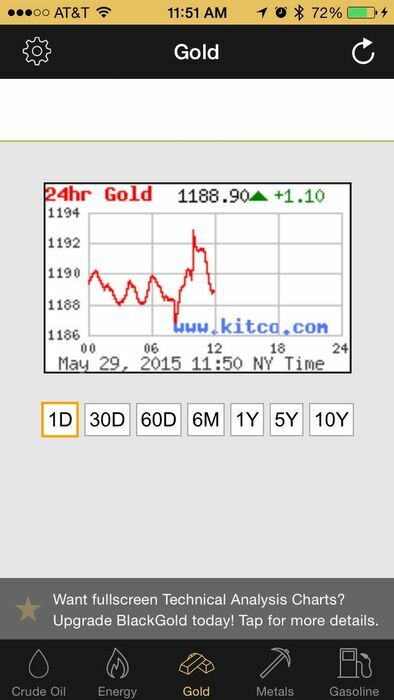 - Current Price, including seven charts. 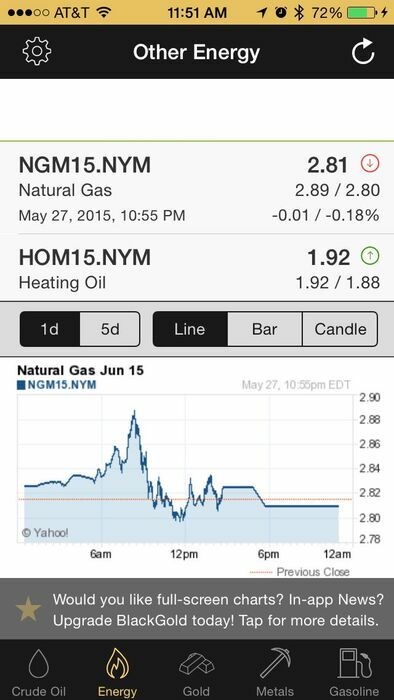 * Natural Gas - Current Price, including intraday chart. * Heating Oil - Current Price, including intraday chart. 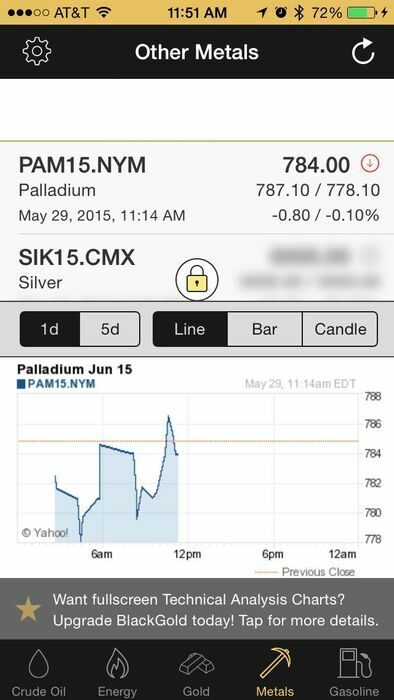 * Palladium - Current Price, including intraday chart. For more information about BlackGold, please visit our website. * Read In-App News Articles. * Share articles via Facebook, Twitter, or Email. * 10 Month Futures Chain! Full details and screenshots can be found on the BlackGold website. As always, A valid Internet connection is required for BlackGold to retrieve prices, information, and charts. 4G/LTE/Wifi is preferred and will give you the best results. In order to offer BlackGold as a FREE app, it is ad-supported and/or sponsored. A minimum of iOS 7 is required.